The holidays are a special time of year. I am fortunate to experience mainly positive feelings in reminiscing on Christmases and New Years gone by as I know this isn’t the case for everyone. This year was better than last. Not in the sense that my Mother’s condition is any better, for us it was an easier year in terms of her comfort in social situations which helps make the short term future a little more predictable and manageable. It seems the disease has plateaued once more at a state where she isn’t so agitated and anxious in small crowds. 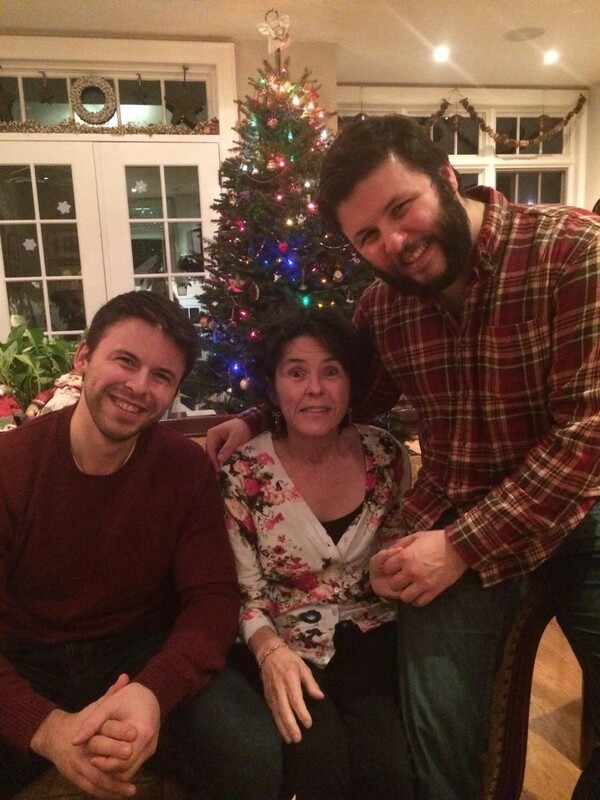 Last year, during an annual Christmas eve gathering, surrounded by her own immediate family, my brother’s and I along with other family members took shifts with my Mom. This is very stressful because it is one of the few times a year that we see many of our relatives and we wouldn’t ever want to leave my Mom behind but the crowd proved to be very upsetting which, in turn, upset all of us. We had to find a quieter room or go to another level of the home. Last year my Mother was weepy and displayed angry outbursts and muttering. This year she was over the moon chatty, non-stop singing and wanting to hug everyone her eyes landed on. She is giving and generous with her love like she always has been, that shines through. While still very demanding of everyone’s attention to ensure her safety and comfort, she was able to be part of the group and seemed to really enjoy the company around her. Mostly calmed by physical touch and hand holding as her vision gets worse. As you can probably imagine or relate to, the Holidays are bittersweet. Just like many families who have lost a loved one or experienced significant change, landmark holidays and milestones in life come with the mixed highs and lows of memories and wishing things were different. Unfortunately that is simply not possible. What other option is there than to continue on like many others, make the effort to change our perception and count our blessings? The world my Mom lives in right now seems like a wonderful place filled with repeated words like “beautiful” “happy” and “love” along with laughter and jokes. It’s never easy, life isn’t easy for anyone, but we choose to enter 2016 celebrating the fact that she’s usually comfortable and content in her world. We become guardians to that happy world trying our best to maintain it and revitalize it went she starts to feel the opposite. Here’s to being hopelessly hopeful, ’cause why not?! Happy New Year!